Imagine you are attending the symphony. As you sit in your seat waiting for the performance to start you feel a sense of nervous anticipation. Suddenly, the room darkens, the curtain opens and a spot light appears on the conductor. The music begins and you find yourself immediately captivated. With each note, you feel yourself getting further and further drawn-in as the different instruments come together to form a brilliant performance. Now imagine you are watching a motorcade. Blue and red lights flicker as far as the eye can see. Sirens signal the arrival of the motorcade as motor-officers leapfrog past it, shutting down one intersection after the next to ensure it can travel unimpeded. Slowly by surely the long line of emergency vehicles makes its way past you, taking almost two full minutes to pass-by. Were it not for the fact that this motorcade was escorting the body of a police officer shot and killed in the line of duty, one could easily liken it to a well-rehearsed symphony. Sadly, the heartbreaking nature of this particular occasion quickly turns any sense of awe, in to sadness. As a criminologist, the stepson of a retired VPD Detective, and as someone who has a great many friends that serve with various law enforcement agencies, I have always been a strong supporter of the law enforcement community. 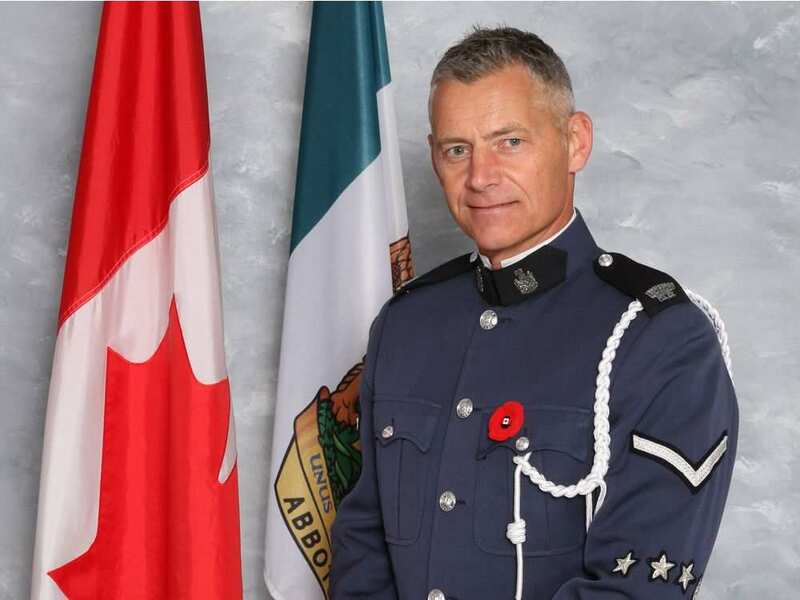 To that end, I was invited by some of my VPD friends to stand with them and pay tribute to Abbotsford Police Constable #386 John Davidson as his body was transported from Vancouver General Hospital back to Abbotsford last Thursday. As I stood on the median of 12th avenue, just east of Cambie Street, I felt a sense of nervous anticipation as the VPD shut-down the intersection in preparation of the motorcades arrival. As the first vehicle in the motorcade approached a Sergeant called us to attention; only those who were police officers (and wearing a hat) were further instructed to salute. As each vehicle began passing by I had to remind myself that protocol is to remain looking straight ahead. 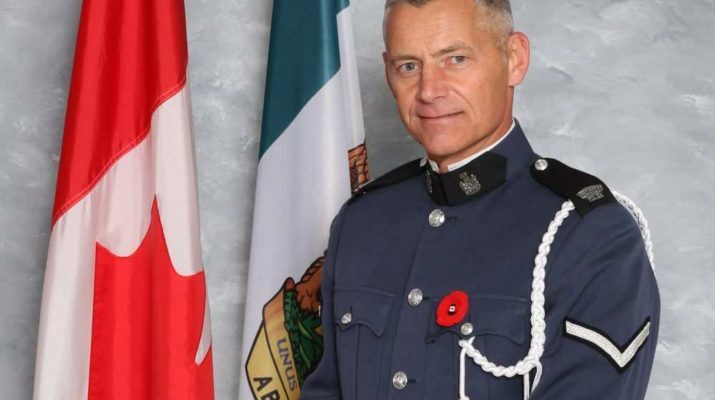 I admit, however, that when I saw the face of Chief Bob Rich my eyes followed his vehicle briefly as my mind turned to the men and women of the Abbotsford Police Department. When the last vehicle in the motorcade finally passed by and the Sergeant called us to stand-easy and dismissed us, I looked at my friends and saw the depth of sadness in their eyes. Though I am not a police officer I have come to understand the unique bond that unites those in uniform, regardless of what agency they serve with. To that end, though it was a profound honour to stand with these police officer and pay tribute to their fallen colleague, I admit that I had to wipe tears from my eyes as I found myself overwhelmed with emotion over this tragic loss of life. I have always considered myself fortunate to have such meaningful ties with so many in the law enforcement community, as I consider them to be some of the finest human beings I have ever known. In particular are the individuals I got to know during my time with Cops for Cancer Tour de Valley. With a background that includes community television host, I had the great fortune of participating with Cops for Cancer for many years as a ‘spokesperson’. From serving as the emcee for their gala, to going on tour a few times, my participation with this remarkable initiative continues to hold a special place in my heart. Of course, my job was easy. I would get escorted from one location to another getting audiences consisting of elementary and high-school students ‘fired-up’ for the arrival of our officers. Meanwhile, these men and women cycled – often times through the cold and the rain – from one location to the next to raise awareness of, and funding for pediatric cancer research. Why? Because they believed equally in the notion of ‘service’ as they did in ‘protecting’. Though Cst. Davidson and I did not participate with Cops for Cancer during the same years, I have discovered that he and I had several mutual colleagues and friends. One of those mutual friends said it best when I asked him to tell me about Cst. Davidson and he responded with… “The fact that he was a rider on tour tells you exactly the kind of man he was.” He was right. You see, for those officers who give of their time and energy to participate on tour they all have certain qualities in common. They are all very compassionate, caring, dedicated individuals with big hearts. Thus, it’s not surprising that these are among the various attributes I have heard others use to describe Cst. Davidson in the days following his death. To Cst. Davidson’s family, friends and colleagues, I am so very sorry for your loss. He was clearly a remarkable person, and an exceptional police officer. I am sad that our paths never crossed via Cops for Cancer, but rest-assured that I, like so many others, will never forget him and will forever consider him a hero. 10-7 Cst. Davidson – it’s time for you to rest, your colleagues will take it from here.